The last thing the city needs is another long-running problem whose solution is always just out of reach because of a lack of vision and leadership. San Diego is a world-class city. Our natural geography and growth have created a binational mega-region with the busiest land border crossing in the world. San Diego is also the nation’s eighth largest city. Thirty-five million travelers from around the globe come here annually to enjoy our arts and culture institutions and to do business. Our vibrant tourist economy is worth $17.2 billion. Few of these facts are evident when one looks at the size and condition of the San Diego International Airport’s Terminal 1. Much of it has remained a vestige of the past and not at all reflective of the mega-region we have become. It is certainly not the first impression we want to make for the millions of visitors who use it each year. Without question, this has to change. The San Diego Airport Authority has begun preliminary work to replace Terminal 1. Despite the broad agreement that this project is sorely needed, the Airport Authority has found itself in the crosshairs of numerous complaints from its neighbors, the Port of San Diego, the city of Chula Vista, organized labor, elected officials and others. These stakeholders have legitimate concerns about past behavior by the Airport Authority and the lack of mitigation for the proposed project. This conflict is the result of the lack of a comprehensive and cooperative regional effort to resolve the many environmental impacts of the proposed project adjacent to our waterfront. These impacts include increased traffic, greenhouse gas emissions, unmitigated jet noise in surrounding neighborhoods and anticipated sea-level rise that accompanies the modernization of the bayside airport. For many years the Airport Authority has been narrowly focused on its own footprint, often ignoring how its operations impact others in our region. Hiding behind the Federal Aviation Administration, airport officials have responded to community needs by simply declaring reasonable solutions to be infeasible. To its credit, the Airport Authority has recently changed its tune. It has acknowledged it can do better and has expressed a willingness to work with regional planners on comprehensive mitigation solutions. While a welcome development, it must be matched by action, and importantly, funding from the Airport Authority. The first action that must be taken is to link the airport to the San Diego Trolley. It is incomprehensible that despite the Trolley’s Blue Line running along the eastern edge of the airport’s runway there is no easy connection between these two transportation assets. This situation isn’t just frustrating to users, it’s a civic failure that must be fixed. Creating such a link, be it a trolley extension or a people mover from a nearby transit stop, will require the construction of an intermodal transit center for the solution to be viable. This effort will require collaboration from SANDAG, MTS, the city of San Diego and the Port district in cooperation with the Airport Authority. While past attempts to address this issue have failed to gain traction, there is reason for renewed hope. 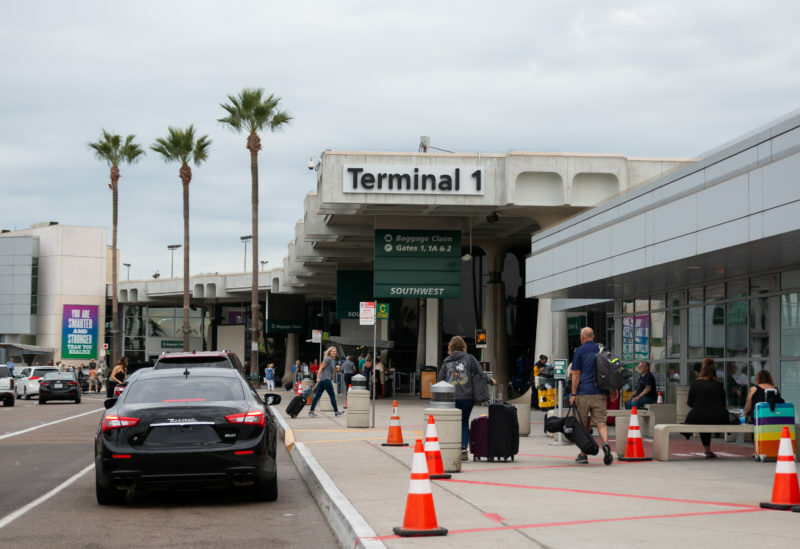 A new cast has emerged in key leadership positions at the Airport Authority, SANDAG and MTS with the potential to bring a fresh perspective as well as new ideas and resolve to finally make this happen. So, come to the table. It’s time for everyone to work together to keep the economic engine that is the airport in tune for the benefit of San Diego and all of California. Given the state’s interest in transportation, climate and sea-level rise, continued failure to act locally will surely add to the calls to reconstitute the governing board of the Airport – an effort started a year ago by my colleague, Assemblywoman Lorena Gonzalez, which I intend to join as progress is made or left unfulfilled. We cannot let this be another “San Diego special” where obvious solutions to long-running problems die for the lack of vision, leadership and action. It is possible to replace Terminal 1 in a way that creates a template for regional cooperation that ensures San Diego has the tools it needs to successfully compete on the global stage. San Diego is a world-class city, now is the time to act like it. Todd Gloria is a state Assembly member representing the 78th District, which includes San Diego, Coronado, Del Mar, Solana Beach and Imperial Beach. He is a former San Diego City Council member, City Council president and interim mayor.